Nothing in this post costs more than $300! Ready, Jet, Go! 1. A bathroom shelving unit for anyone who is tired of towels on the floor and nowhere convenient to put their toiletries. With only two screws needed to hang it up, you can easily do it yourshelf. 2. 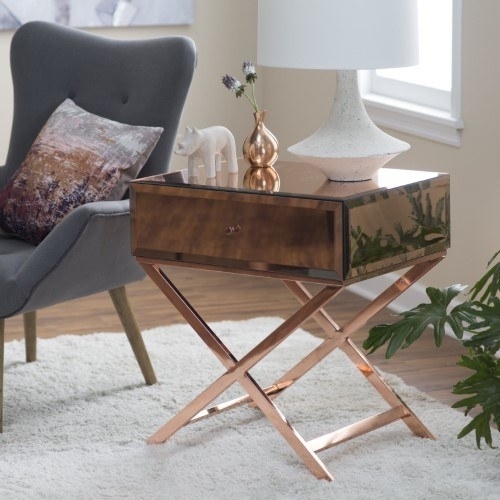 A luxuriously mirrored side table with a wide drawer you won't regret buying when you reflect back on this moment. 3. A stand-alone above-toilet cabinet crafted with bamboo and accented with chrome finishings. Woodn't it be great to have a storage unit that doesn't take up so much space? 4. 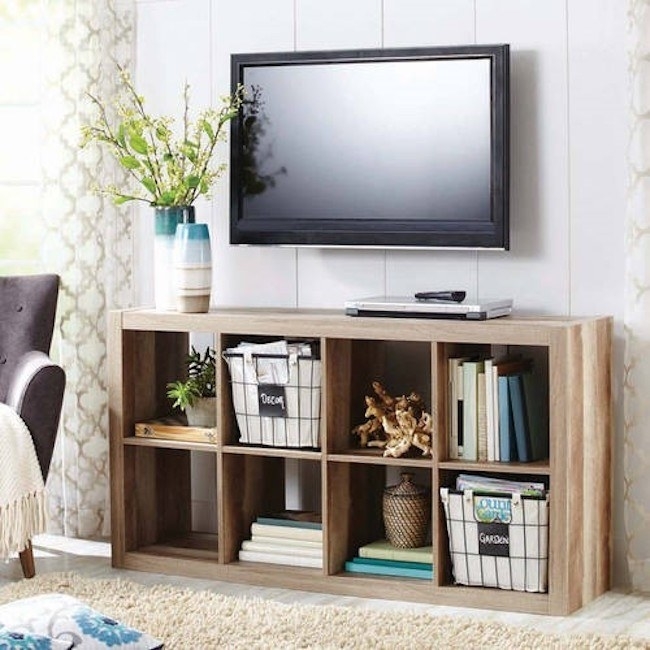 A TV stand designed to keep all of your entertainment and electronic devices in one organized space. 5. A magazine rack so your bathroom guests have something to read if they forget their phones! 6. A coffee table with a sleek wooden design suitable for any living space. 7. 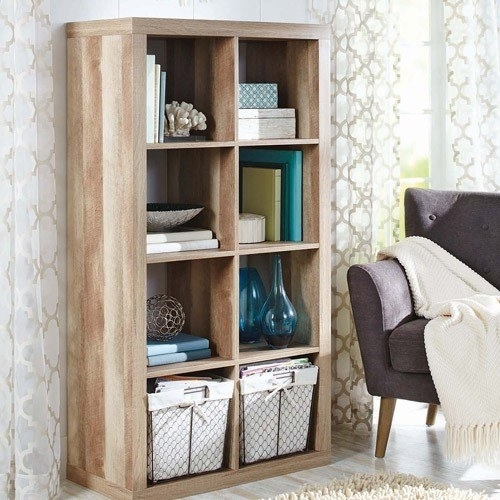 An eight-cube unit that'll work as a TV stand or upright as stand-alone shelf! 8. An ottoman set you'll never want to get outto...(man) because of its padded back, arms, and foot rest. 9. A lift-top coffee table that will literally rise to the occasion. 10. A console bookshelf so geometrically cool, no one will call you a square. 11. A coffee table with a bottom shelf that's base-ically the most convenient thing ever. 12. 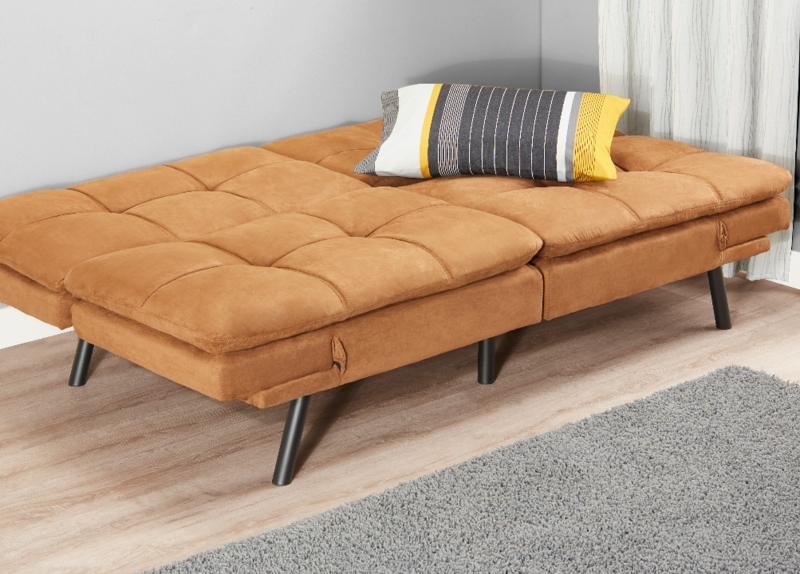 A memory foam futon perfect for anyone who needs the convenience of an extra bed so a ton more guests can stay over! 13. An indoor/outdoor corner rack that will fold up easily for storage and swirl its way into your heart. 14. A bronze bar stool with a 360-degree swivel so you can spin around and around until you get sick and lay down on the floor next to it. For sure not speaking from experience. 15. 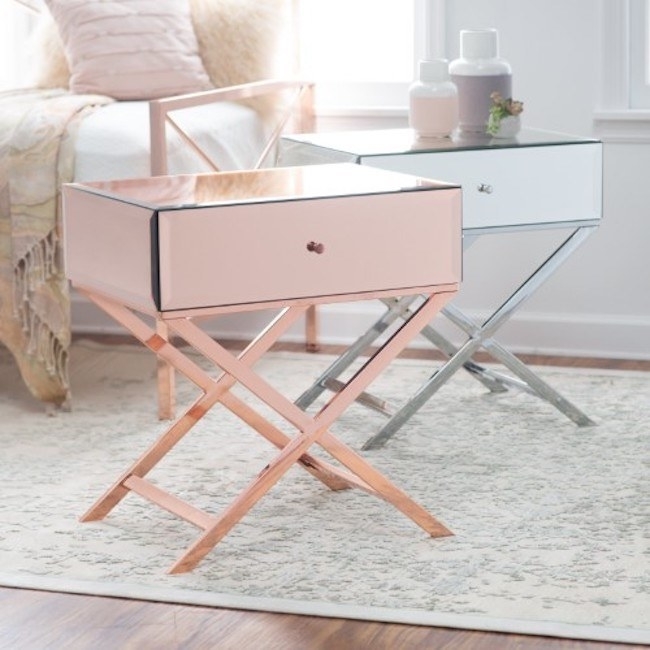 A multi-purpose cart that'll either be a perfect addition to your kitchen as an extra counter top, entry way as a shelving unit, or even living room as a TV stand! 16. 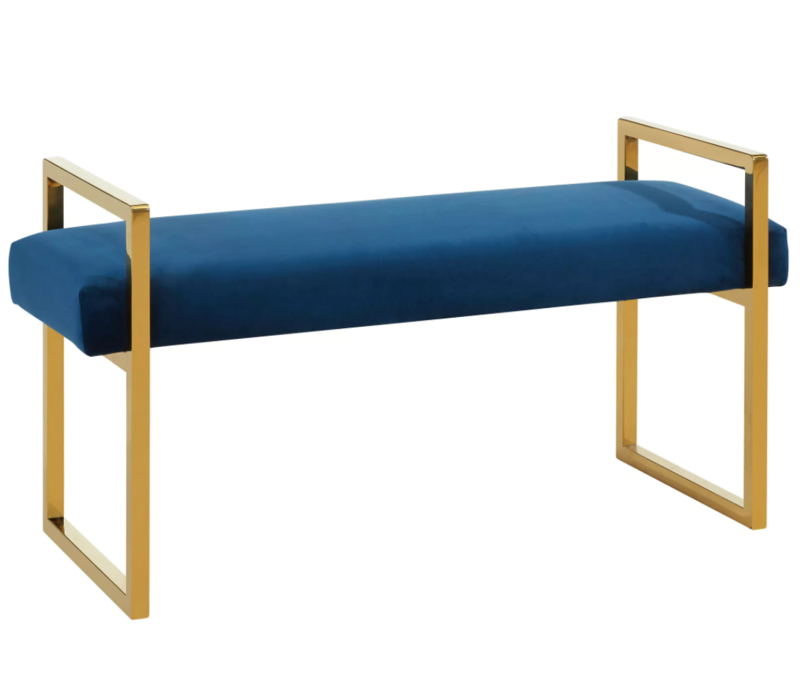 A navy blue velvet bench with golden legs. Does it get any more luxurious than this? 17. A set of four mid-century style dining chairs guaranteed to brighten up your living space white away. 18. 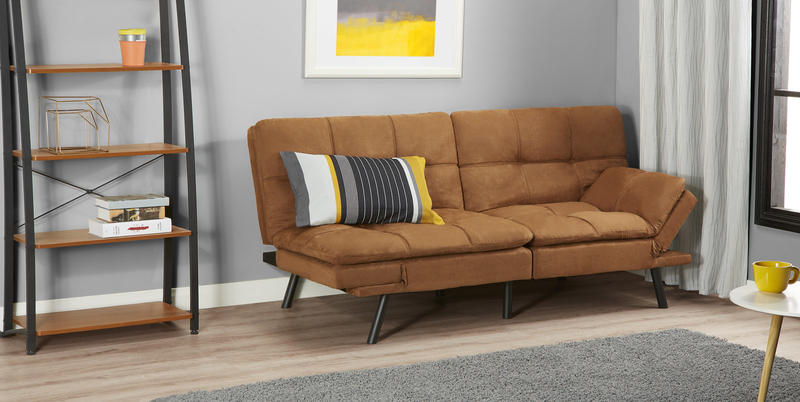 A linen sofa with sophisticated tufted cushions. The only assembly required is screwing in the wooden legs! And the pillows are included! 19. A weather-resistant wicker serving cart for all the summer parties you'll be throwing. Raise your hand if you, too, are weather resistant. 20. 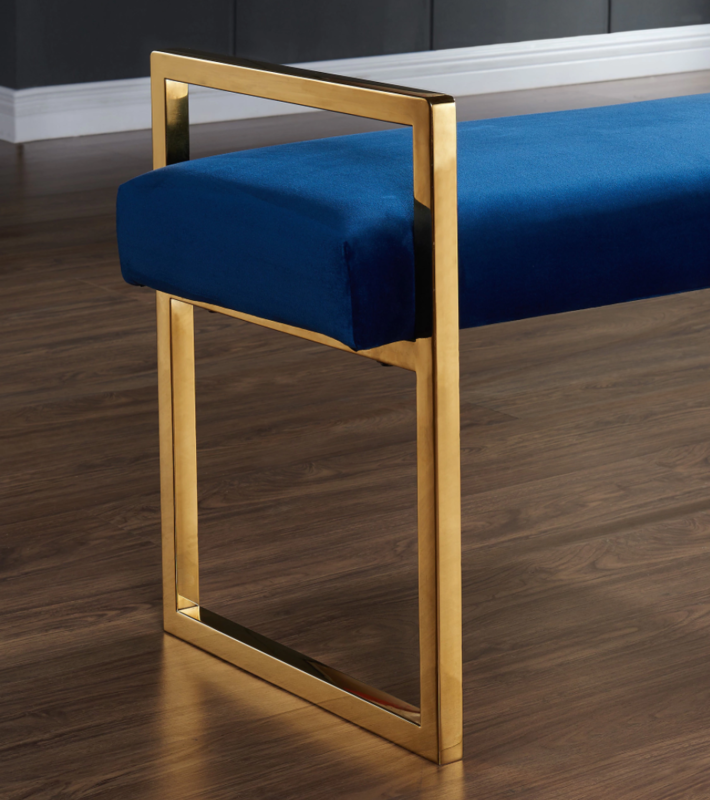 And a velvet bench that'll have your guests saying, "Otto—MAN is that soft!" You thinking Jet is a joke until you see the prices.